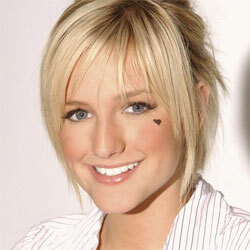 Ashlee Simpson (born 3 October 1984 in Waco, Texas), is an American singer-songwriter. She released her debut album Autobiography in 2004. She is the younger sister to Jessica Simpson and is the face of her sister's Jessica Simpson Collection fashions (Fall 2013).